London (AFP) - England's players will wear black armbands bearing the red poppy when they face Scotland in a World Cup qualifier on Armistice Day, despite the threat of sanctions from FIFA. The English and Scottish football associations had been negotiating with the world governing body, which bans political, commercial and religious symbols on team outfits during matches. 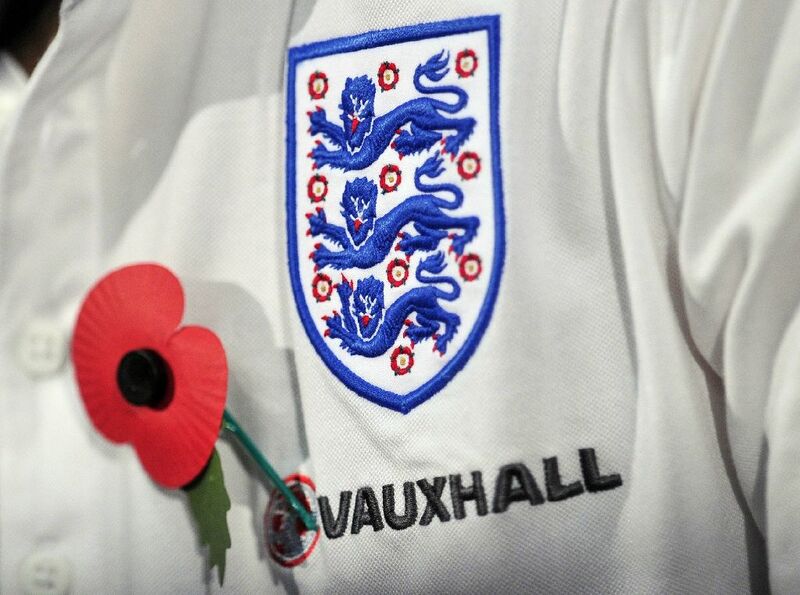 But the FA insisted Wednesday that the wearing of a poppy represents an "appropriate tribute" to Britain's war dead. 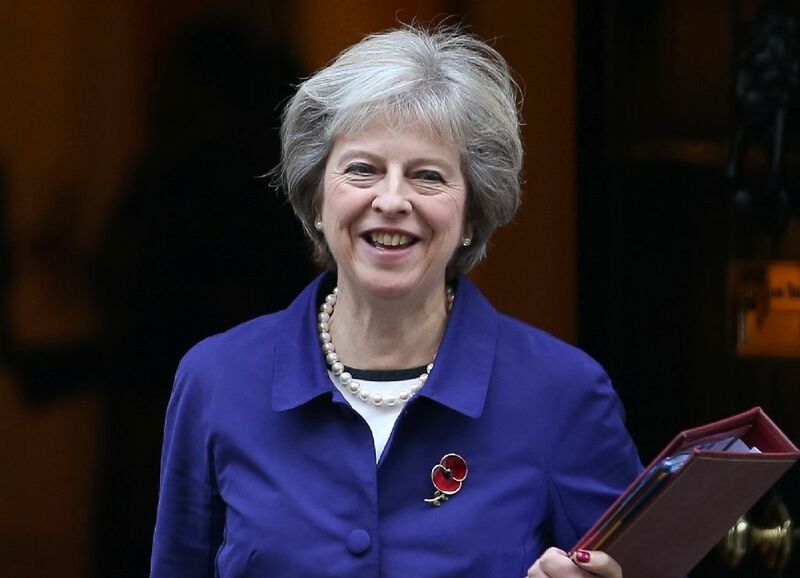 "The poppy is an important symbol of remembrance and we do not believe it represents a political, religious or commercial message, nor does it relate to any one historical event," said an FA statement. "The FA intend to pay appropriate tribute to those who have made the ultimate sacrifice by having the England team wear black armbands bearing poppies in our fixture on Armistice Day." England play Scotland in a World Cup qualifier at Wembley on November 11, the day when Britain traditionally remembers its war dead. Many Britons wear red poppies as a tribute to those who have died in conflicts which have involved the country. Earlier Wednesday, British Prime Minister Theresa May branded as "outrageous" FIFA's opposition to the wearing poppies on their shirts. "It is utterly outrageous," May said when asked about the matter in parliament. "Our football players want to recognise those who gave their lives for our security. "It is absolutely right that they should be able to do so. A clear message is going from this house before they (FIFA) start telling us what to do they jolly well ought to sort their own house out." FIFA was linked with scandal that led to its president Sepp Blatter being ousted in December. A new regime is now in place. But a FIFA statement issued Wednesday reiterated their stance. "FIFA fully respects the significance of commemorating Remembrance Day on November 11 each year," it said. "The laws of the game are overseen by the International Football Association Board (composed of the four British FAs and FIFA) and applicable to all 211 member associations. "The relevant Law 4, para. 4, clearly states that the players equipment should not carry any political, religious or commercial messages. "The laws are applied uniformly in the event of similar requests by any member association to commemorate similar historical events." However, FA chairman Greg Clarke said it was inconceivable poppies would not be worn. "My personal opinion and actually the same opinion I hold as Chair of the FA is of course we should wear poppies," he told ITV. "We are commemorating millions of people who gave their lives in wars over the last hundred years and they deserve that. "The people who lost relatives deserve that. Thatâs our plan. We'll be wearing poppies at Wembley." In 2011, FIFA agreed to let England wear a poppy symbol on black armbands when they played Spain in a friendly on November 11. The strength of feeling against FIFA was reflected when by Wednesday nearly 200,000 people had signed a petition urging a rethink. The petition was launched by former RAF navigator John Nichol -- who was shot down with pilot John Peters and taken prisoner during the first Gulf War with Iraq in 1991. "The poppy is not a political statement at all. It could not be further from a political statement," said Nichol, who along with Peters was tortured while being held prisoner.